Pro HDMI® Audio De-Embedder Separate the audio and video signals in an HDMI cable for use with separate systems. 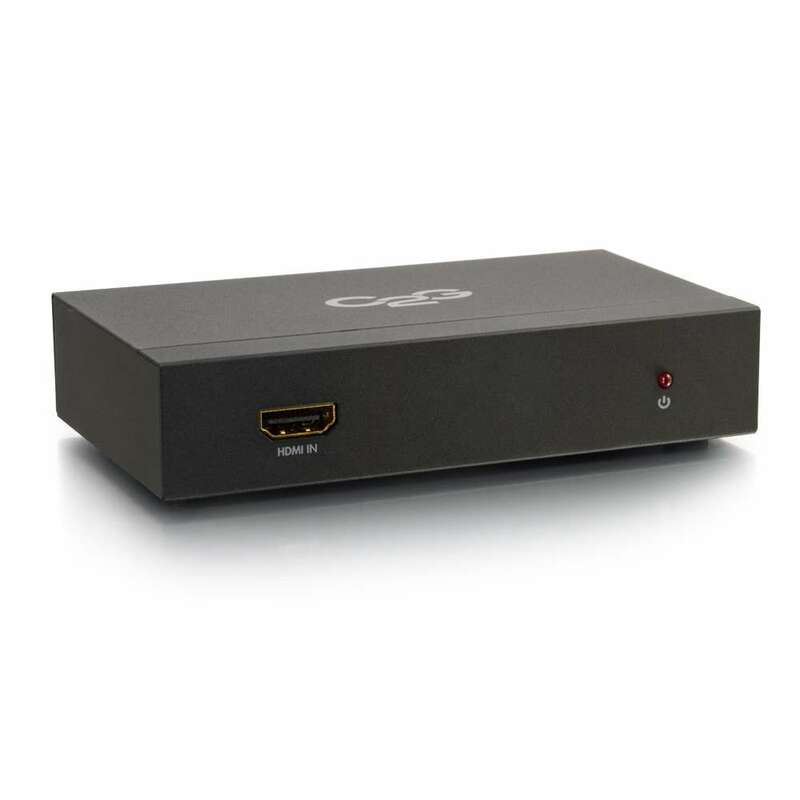 The Pro HDMI Audio De-Embedder will separate HDMI video and audio then converts the audio to Toslink, Digital RCA, or a 3.5mm Stereo Audio signal to support an audio system that is separate from the display. 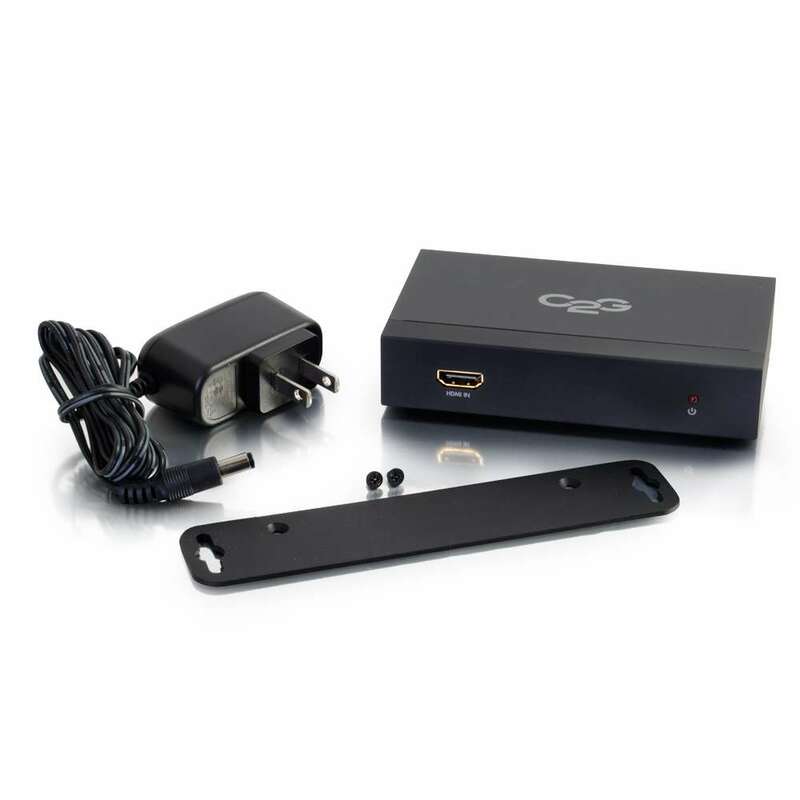 The de-embedder will allow HDMI video to continue to the television or monitor while supplying audio to an audio system near the HDMI source. Constructed with a metal housing, this de-embedder is designed for durability and a long life. This device is ideal for projector installations where the projector does not provide an audio output and the system design calls for the use of an amplified audio reinforcement system. The Pro HDMI Audio De-Embedder provides the means to separate the audio from the HDMI signal and provide that audio to the amplifier. Setup is easy with minimal configuration time. 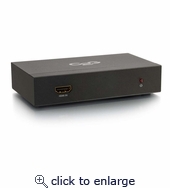 Simply connect the HDMI and audio cables and power on the system. The Pro HDMI Audio De-Embedder features two audio modes, A and B. When set to Mode A, the de-embedder will allow EDID signals to pass-through between source and display which will automatically set the audio output to the best common digital audio performance level. When set to Mode B, the de-embedder allows the digital audio output of the source to be set independently of the capabilities of the display. In both Modes, A and B, the digital audio must be output through the Toslink or Digital RCA port of the de-embedder. The 3.5mm output of the de-embedder requires that the source be set to the PCM audio mode. Note: Digital signals, such as Dolby Digital and DTS audio, from the source device are supported through the Toslink and Digital RCA port. The 3.5mm port supports PCM audio signals from the source device. The source device must be set to a PCM audio mode to use the 3.5mm audio output.